We often reduce brand down to a logo, colour palette and some nice typography. In reality it is more about personality than visuals. Whenever we kickoff a new project one of the first things we ask about is branding. What happens next demonstrates a fundamental weakness in most organisation’s brand strategy; they hand across their brand guidelines. At face value this seems an appropriate response to a question about brand. 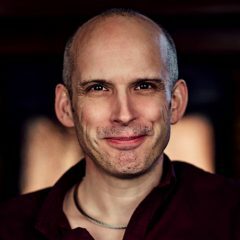 The problem is that in my experience most brand guidelines are woefully inadequate at communicating an organisations brand. Are these really the essence of a companies brand? I think not. To me brand is an organisation’s personality. It is their character and it should influence every aspect of their behaviour, not just the way they represent themselves visually. Brand is what they stand for and against. It is how they communicate with their customers and the world at large. It is not just a set of colours and pretty logo. When I ask about an organisations brand I am asking what type of person they are and how they interact with the world. Why is this definition of brand so important? It’s because human beings are social creatures. We are drawn together into tribes of like minded people. We are not drawn to pretty logos or interesting typography. We are drawn to character, to personality. Some companies get this. 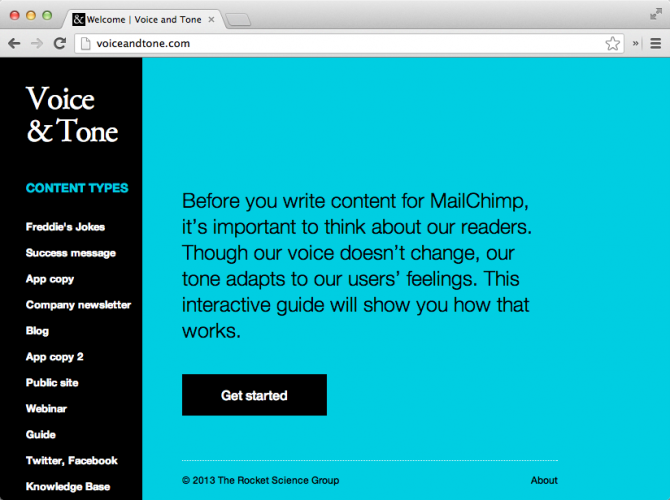 Take Mailchimp for example. Despite a relatively dull product they exude personality and have worked hard to define what that personality is. Mailchimp has put a lot of thought into their tone of voice because they know this is a representation of their personality. Moo is another example of this. Their emails could be so dull and functional, but instead draw you in with their wonderful expressions of character. 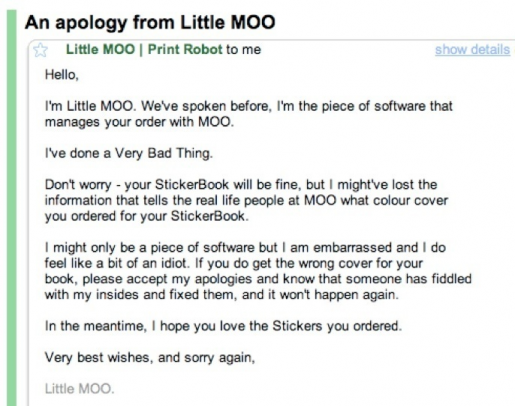 Moo’s emails use personality to help overcome points of potential conflict with customers. Personality doesn’t need to be limited to consumer companies either. Business to business companies need to demonstrate a character too, and it can also have a sense of humour. Take for example my own company Headscape. Clients don’t just hire us for our skills. They also hire us for our passion, enthusiasm and sense of fun. After all, those people who hire us may work for large corporations but they are still human beings who crave human interaction. Next time somebody asks you about your brand, tell them about your personality rather than hand them the manual. Don’t get me wrong, visuals do matter in the same way as the clothes we wear are a reflection of our personality. However, visuals are just the outward manifestation of a brand, not the brand itself. The copy we write and the interactions we have with customers are just as much a part of brand as the visuals. So next time somebody asks you about your brand, tell them about your personality rather than hand them the manual.